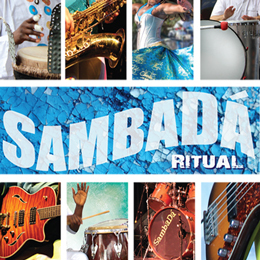 Featuring Carla Visi directly from Brazil, plus opening band Sambada, Samba dancers, drummers and more! Non-stop Music & Dance at The Largest Carnaval Party on the West Coast! 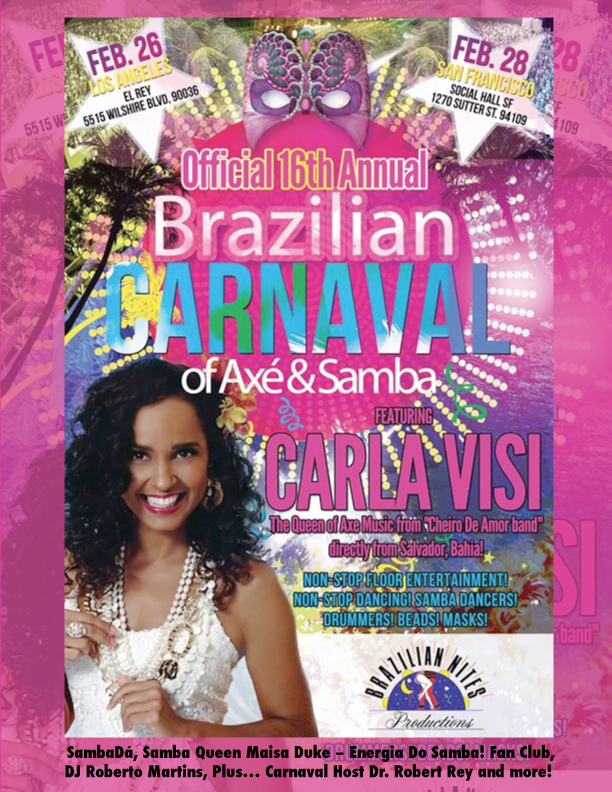 A double dose of the party spirit of Brazil, this special Carnaval party features the “Queen of Axé Music,” ex-lead singer from Cheiro De Amor band, Carla Visi directly from Salvador, Bahia! Brazilian Nites once again brings the electrifying energy of Brazil to California with two nights of the best music, non-stop dancing, Samba drummers, beads, masks, authentic Brazilian food and drinks, and of course, the titillating and elaborately costumed elite Samba dancers. All-ages are welcome. Costumes encouraged. Confirmed talent: Carla Visi and Band directly from Brazil, SambaDá, Samba Queen Maisa Duke – Energia Do Samba! Fan Club, DJ Roberto Martins Plus… Carnaval Host Dr. Robert Rey and more! Tickets: $45 General Admission ($55 at the door) – ALL AGES!